Welcome everyone to #QBOchat. Please introduce yourselves to the group -> Name, location & name of biz. Hi, Everyone! 🙂 Morgan with ClockShark tuning in from Chico, California, where it is surprisingly sunny for February. Daffodils look beautiful in the sunlight though!! Keep the introductions coming. #QBOchat – Also share if you are a #smallbiz owner, accountant or developer/app. @avalara Hiya!! I’m having a great week. 🙂 It’s absolutely beautiful here in Boise, ID. No better day to fill in on the #qbochat for the beautiful Miss Alex! @sharearefund Yep, I don’t have a very good filter. #QBOchat ? #QBOchat shoot…running late! have to catch up! W’sup QBOChat peeps? #QBOChat A2 – sales and marketing results are difficult…you get out what you put in but then how much do you put in, time or expense? #QBOchat Engagement is EVERYTHING! You generate engagement by ENGAGING! @Jon_Ferrara @Nimble @BConsultingNC You guys are always welcome in joining future #QBOchat‘s too. Every Thursday at 3PM Eastern. @QBOchat #QBOchat A small paid social media campaign can help you identify users in areas and categories you never knew existed. Use the data gathered from the paid campaign and apply it to your regular social media strategy. Just a few minutes left for this week’s #QBOchat. What is your favorite take away? It’s time to say goodbye to all the wonderful participants in another illuminating #QBOChat Thanks for all the great input! That’s it for this week’s #QBOChat, thanks for taking the time to tweet with us! 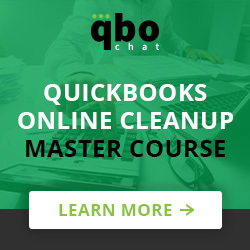 #QBOchat began in July 2013 with the simple idea to host a weekly Twitter conversation around QuickBooks Online (QBO). We have since grown into a very strong community comprised of a diverse group of users. Our weekly tweet chat is held each Thursday at 3:00PM Eastern. 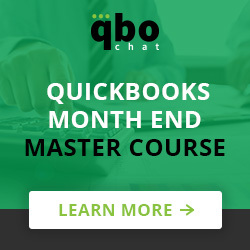 The discussions cover a wide range of topics including QBO’s latest features and updates, business operation tips and apps that integrate with QBO, to name just a few.